A wooden grain elevator in Altamont, on the CNR Miami Subdivision in the Municipality of Lorne, was built in 1905 by Ogilvie Flour Mills. 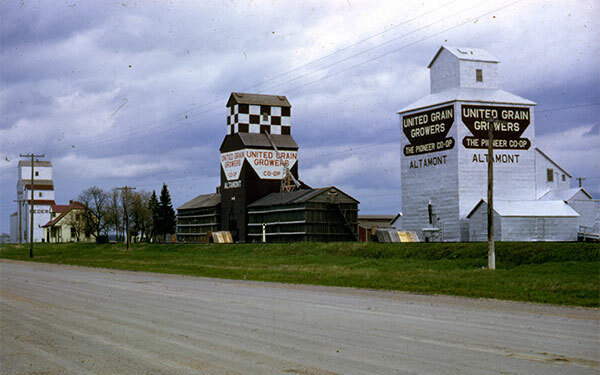 Sold to United Grain Growers in 1960, it was later sold to Peter Wiebe and torn down in 1967. Obituary [Clifford Alexander Hamilton], Winnipeg Free Press, 17 June 1957, page 37.